Compound Gin is the name given to gins in which the botanicals are added after distillation. These gins have a perhaps unfair reputation as being “cheap,” “low-quality” and “inferior.” This reputation has come from the myriad of store brands, local one-offs and bottom shelf compound gins which have sullied the concept. Now it is true, I won’t deny it. Compound gins are cheaper to make, and therefore that is why so many bottom shelf gins make their gin this way. But Bendistillery causes us to question this. When a craft distillery takes the time to do it right, why can’t a compound gin be something better than ‘acceptable.’ can it indeed be good? First thing to note, Crater Lake Gin clearly has a slight golden hue [almost that of a light white wine] largely owing to the botanical infusion. The nose is a little bit harsh. A vivid note of alcohol burn and a hint of mild fresh juniper. The taste is one that I find rather pleasing though. True, there is a bit or harshness there. At 95 Proof, its not to say that the harsh edge is disingenuous, I’d only go as far as saying that it tastes noticeably harsher than other gins at this similar proof point. The juniper is bold and bright. It tastes fresh and herbal, truly a juniper lover’s gin. Though the tail of the tasting carries a bit of burn with it, the fresh juniper lingers, giving it a bright almost cucumber like finish. The more vegetable like quality to the juniper in Crater Lake Gin gives an idea of how distillation changes how juniper presents itself in a gin. It tastes a bit fresher, a bit more vibrant. It doesn’t quite take on that refined sharpness of juniper-forward gins like Tanqueray. In other words, it clearly differentiates itself by how the method affects the product. With its clear vision and bright juniper perspective, you might not be surprised to find out that this comes through in mixing as well. A gin and tonic tastes vibrant with Crater Lake. Cooling, but in dire need of lemon, lime or both. I like how the juniper shines in a Negroni, it tastes sunny, almost cucumber like with vermouth and Campari, highlighting the drinks more herbal side. I particularly enjoyed how Crater Lake Gin worked in a martini. The harsh edge was tamed by the vermouth. Add a zested citrus rind or a dash or orange bitters, and you have a well balanced and distinctive cocktail. Overall, while probably not for everyone due to the juniper forward character, I have a hard time imagining that a gin drinker could not find something to appreciate in this gin. 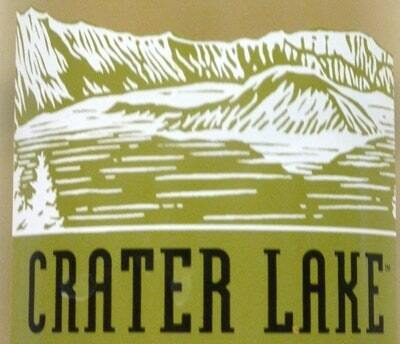 And at a reasonable price point too, Crater Lake is a quality craft gin that is also affordable. Best consumed: A spectacular gin for martinis. Rating: Bright and refreshing, a reminder that good spirit craft can mean that compound gins don’t need to taste like “gasoline and juniper.” This gin is proof that method alone doesn’t guarantee the quality- high or low- on its own. A notable gin that I can easily recommend. An amazing smooth Gin that you should always have on hand. Not a great gin and I agree with your comments completely. Ok for the price but I won’t buy another one since there is much better to be had. I hate gin. I fell in love with Crater Lake gin and tonics with lime about a year ago. The juniper really came through. When we could no longer get it in our area, we tried many other types and they all taste like paint thinner to me. I was finally able to get my hands on some Crater Lake gin and it was certainly good, but it seemed like there was less juniper – ?? Just not as unbelievably impressive as it was last year. Is there seasonal variation I wonder?